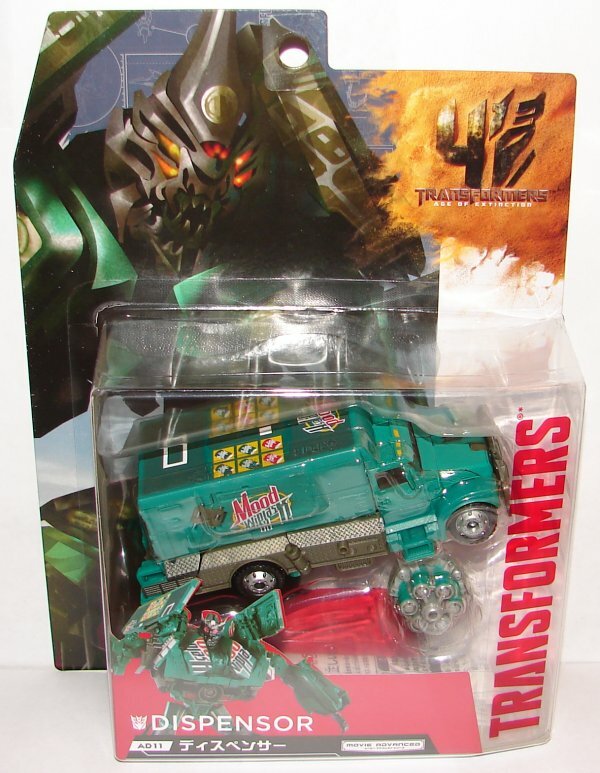 Vehicle Mode: Mood Whiplash? I mean, I get it, they can’t use the real Mountain Dew logo, but couldn’t they have come up with something a little better? How about Mountain Dash or Mellow Dew? I know it’s Japan, but Mood Whiplash just isn’t working for me. If that were all it wouldn’t bother me so much, but it doesn’t look anything like a delivery truck, it looks like what it is, an armored truck. Revenge of the Fallen Scout Rollbar would have been a much better choice. 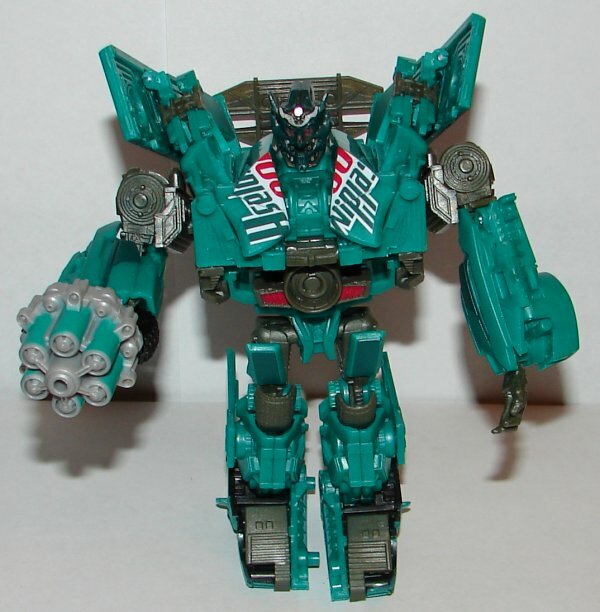 Just give him a new paint job, new head, and the new weapon that can plug in over his hand. 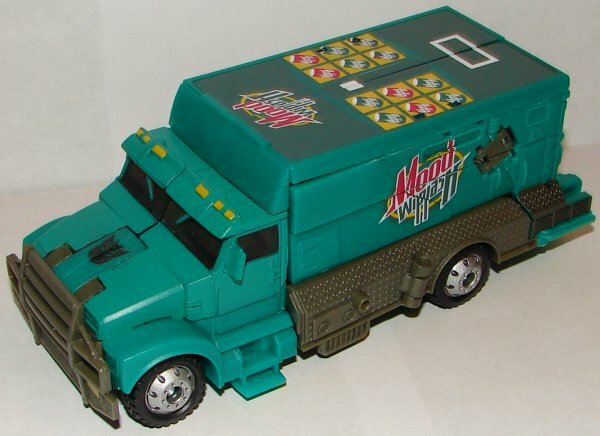 I suppose it’s the best available option for a deluxe toy, but I really would have liked to see them put a little more work into this one. 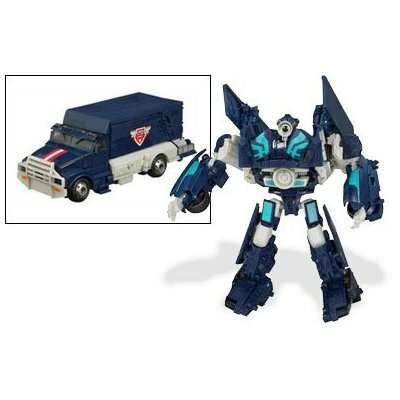 Other than the conceptual issue, he looks pretty great in vehicle mode. Robot Mode: I love everything about his robot mode accept for the plunger that sticks out his back. The action weapon it deploys is kind of cool, but it should have been able to fold down. I’m not sure how much his head sculpt looks like him from the movie. Overall: It’s likely to be the only Dispensor we ever get, so I have to recommend it. 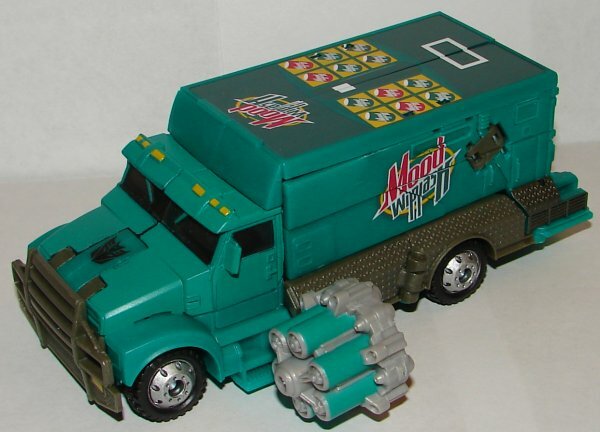 This entry was posted in Toy Reviews, Toys, Transformers and tagged Age of Extinction, AOE, Dispenser, Dispensor, Lost Age, Mountain Dew, Mountain Dew Machine, Movie Advanced, Payload, Pepsi, Toys, Transformers, Transformers: Age of Extinction, Transformers: Lost Age, Transformers: Movie Advanced. Bookmark the permalink.